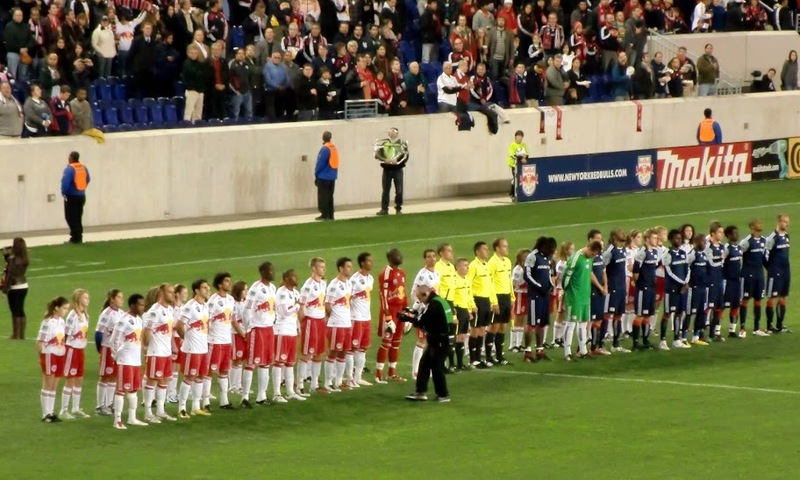 RBNY vs Revolution: From Worst To First! The Red Bulls are now The Beasts From The East! From a 5 win, 21 point season last year, to a 15 win, 51 point season this year. That's a 30 point turn-around! Thank you Mr. Backe, you are a genious! Thank you also Mr. Soler! Bless you Uncle Dietrich! From laughing stocks last season, to top of the East this season. I would not have believed it could be possible at the begining of the season, but it happened. The exclamation point in this turn-around of a season was this 2-0 victory against Eastern Conference rival New England. In sixteen games we had not been able to defeat them, and that streak is now over. Another Golazo from "Great Dane" Richards (no longer is he "Friendly Dane") and another one from Joel Lindpere, who started off this magical season of ours with a goal against Chicago, way back in March. Of course, first place in the East is just the first step in the ultimate goal of an MLS Cup, but, assuming we get past the first round of the playoffs, the Conference Final would be played @The Cathedral of Football. Our second round opponent is still to be determined, but we will know who it is by 11pm (ET) today. I'm just hoping it's not Seattle. Please see the above video for part one of our award-winning commentary. Please click here for part II, click here for part III and click here for part IV. It was an odd time in the Garden State Supporters section, as there was a sit-down protest by them. 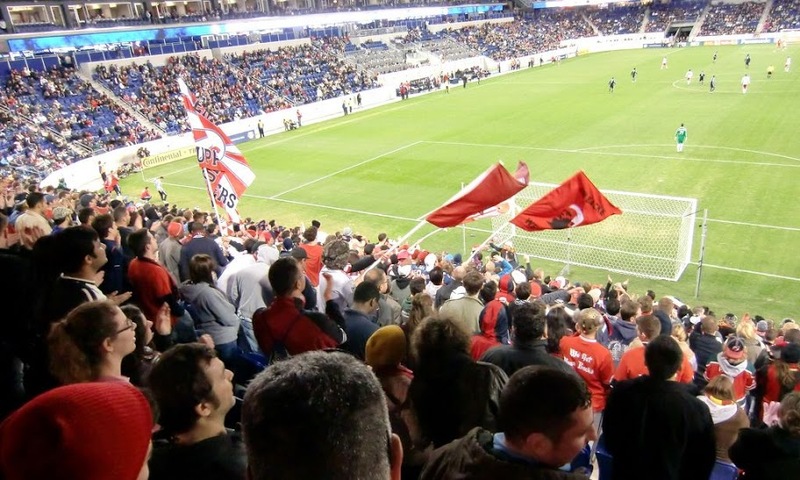 There were some GSS members that were unjustly banned from Red Bull Arena, over incidents that took place in Philadelphia last weekend, hence the sit-down protest. I'm hoping that all this stuff gets sorted soon, as the atmosphere suffered during this one. You can click here for my photo album of this historic game or click here for the slide show. You can also click here for the official photo album from Red Bulls Official on Facebook. And here's another nice set, courtesy of Chamber Images.